Stephdub.com is a blog meant to share insights into the relationships we have with others - why some work, why most don’t, and why the necessary challenges and difficult conversations open us up and force us to acknowledge who we are as individuals. It's a guide of discovery in how we can better communicate in relationships in the most awkward, uncomfortable and complicated of situations. 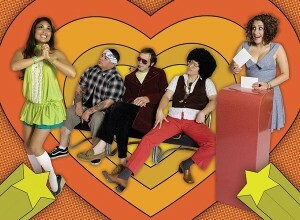 Date night radio is an extension of stephdub.com blog. A two hour a week radio show meant to meet the the same goals of sharing insights into the relationships we have with others - why some work, why most don’t, and why the necessary challenges and difficult conversations open us up and force us to acknowledge who we are as individuals. It's a guide of discovery in how we can better communicate in relationships in the most awkward, uncomfortable and complicated of situations. 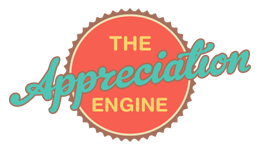 The Appreciation Engine is a project designed as part of the SoundCloud Community Fellowship Program. As a communication scholar, geek, and all-around enthusiast, my biggest passion in life is to help people create, maintain, foster, and fuel positive relationships through healthy communication. Therefore, the goal of my Community Fellowship project is to cultivate a positive relational interaction from a simple instance of verbal communication. Mostly, My vision with The Appreciation Engine is to make it easy, fun, and inspiring to share appreciation for anyone in your life, and to make appreciation sharing go viral! It’s easy! Just hit record, share your appreciation with someone, and send them the link via email, Twitter, Facebook, or any other social site!